Have you ever seen the movie Oblivion? It’s a sci-fi Tom Cruise movie that was partially filmed in Iceland (I’ll watch anything that was filmed in Iceland). 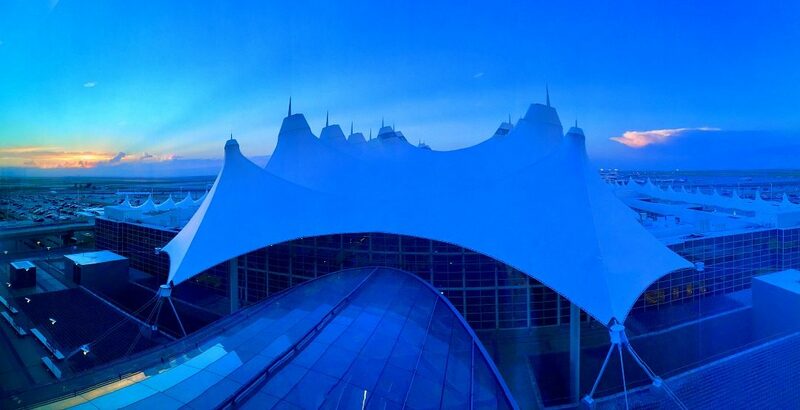 Anyway, the Westin Denver International Airport Hotel reminded me of the Sky Apartment in this movie. The pool especially. 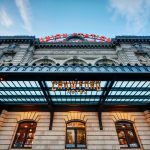 What a thrill to stay here! If you are an architecture or aviation aficionado, or just a design geek like me, I bet you will be thrilled too. 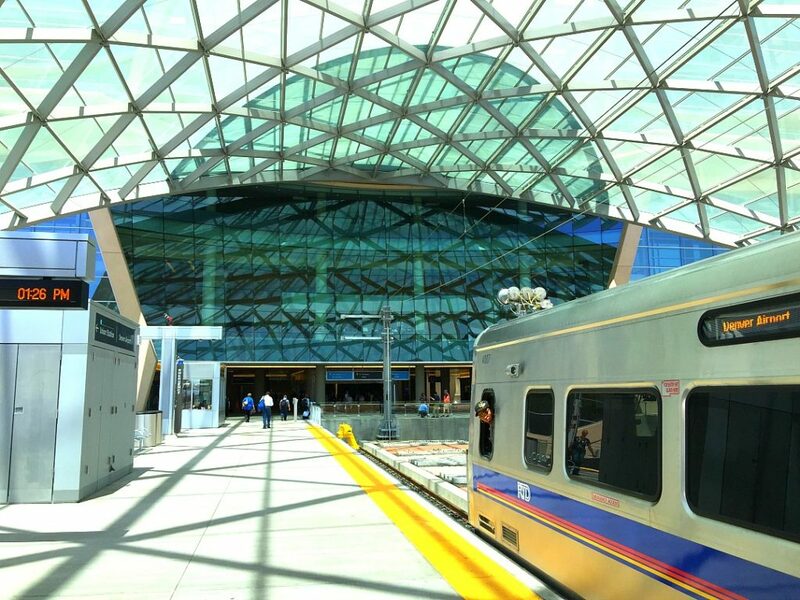 Getting to DIA is a piece of cake now with the new Light Rail. It’s easy, clean, comfortable and cheap. And check out the entrance it makes getting into the airport, isn’t that cool? The hotel is just a short walk from where you exit the rail. 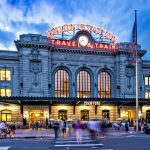 We left from Denver Union Station and it was perfection–an ideal way to go to the airport. 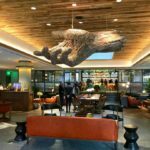 As soon as I walked onto the premises I loved this hotel, and it just got better from there. Big time George Jetson appeal here. I loved the bright clean geometric look and the wide open space. 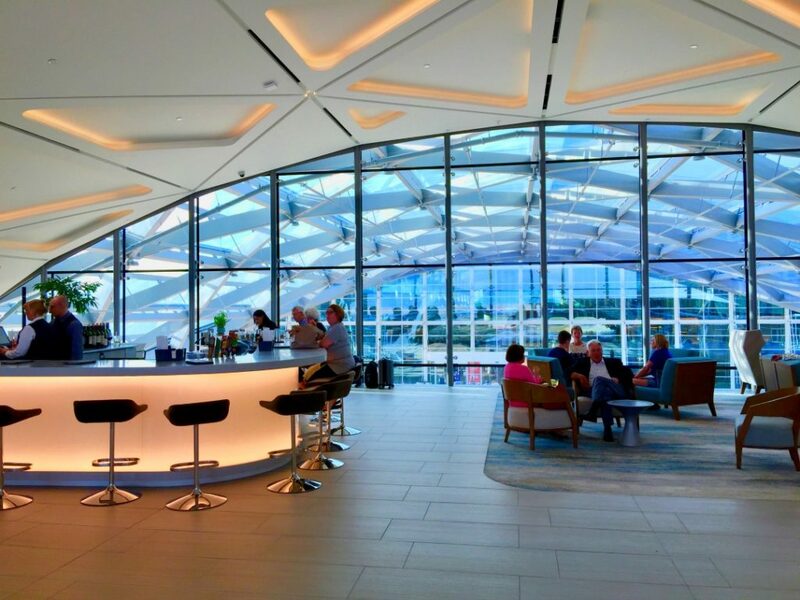 The bar area is right across from the check-in counter. 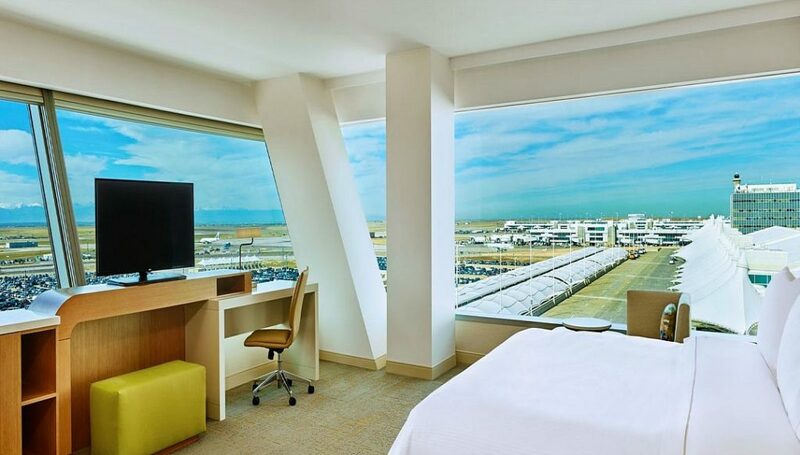 We had a junior suite with a chaise lounge and killer views of the airport spires. The windows have electric black-out blinds that I wish I had at home, they’re so cool. 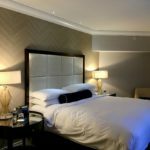 It was a comfortable and ultra modern room with refreshing, simple decor. At night we were treated to a dramatic lightning storm that had us Ooohing and Ahhing for about an hour. 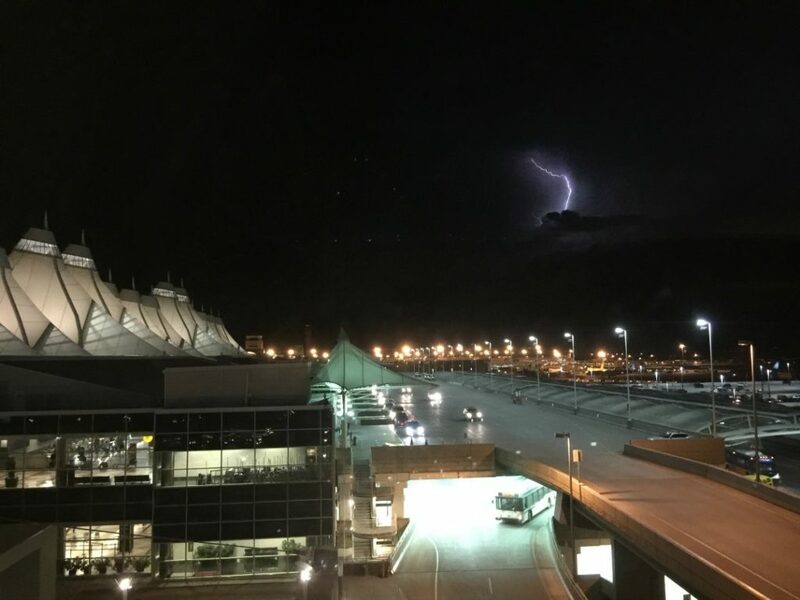 It was a spectacular setting to see such a thing, and for us–Pacific Northwest residents–thunder and lightning storms are a rarity. It was like mother nature’s fireworks. The bathroom is modern and crisp. 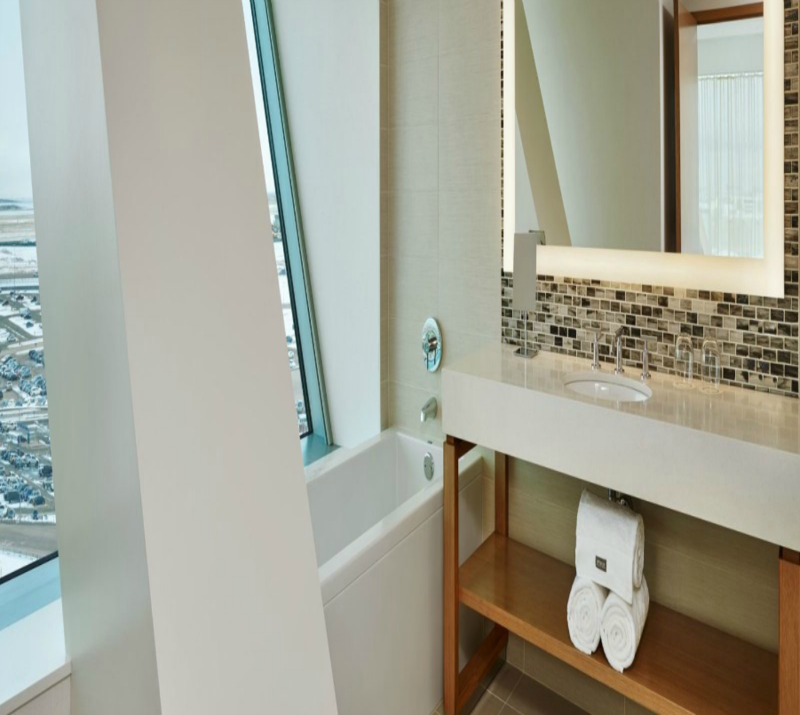 No muss, no fuss, with a nice geometric window to look out while you are getting ready. 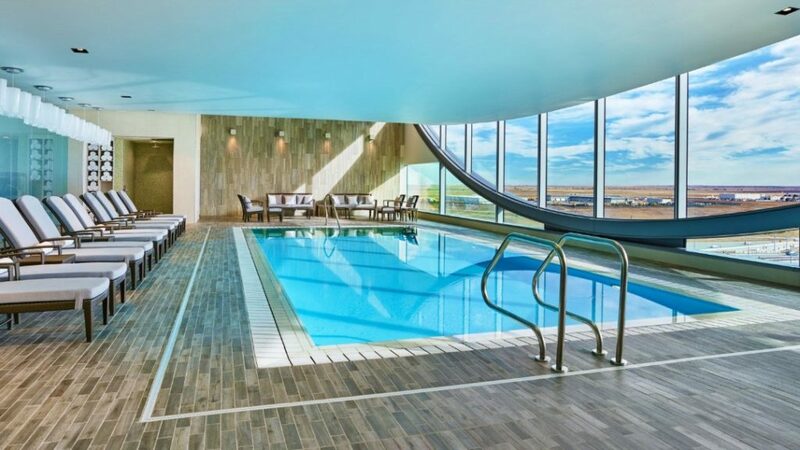 My favorite thing about this hotel is the amazing pool. This is what really reminded me about that movie Oblivion. You have a magnificent view from up there and you feel like you are way up in the sky with the clouds and planes. Water temperature is perfect. 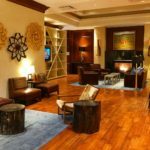 There are lounger chairs and beautiful shale tiles that give the space a gorgeous look. 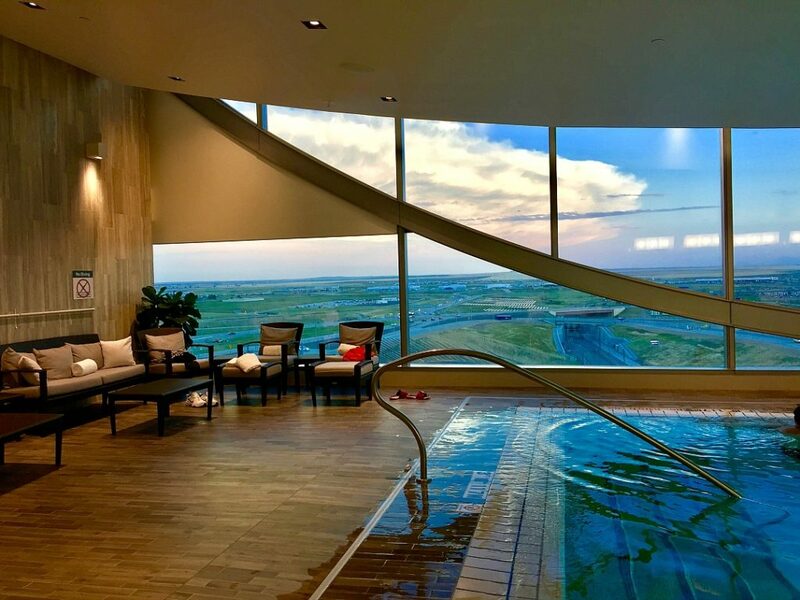 This is one of the coolest pools I’ve ever been to because it’s just so space-age and modern. There is a nice gym attached to the pool area, but separate. 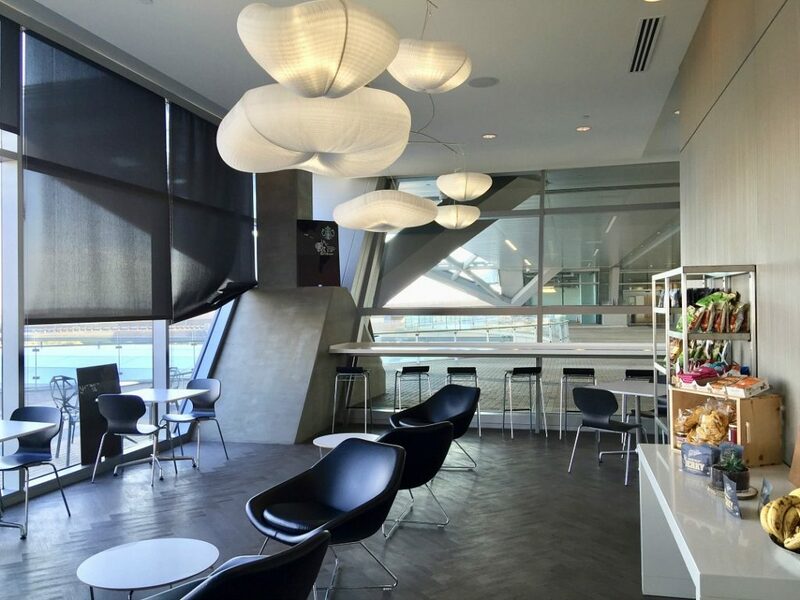 We didn’t eat at the Westin, apart from grabbing a snack at the little cafe. I was much more focused on spending my limited time at the pool and getting sleep. There is a bigger restaurant I’d like to try next time. You can’t talk about DIA without mentioning the folklore. 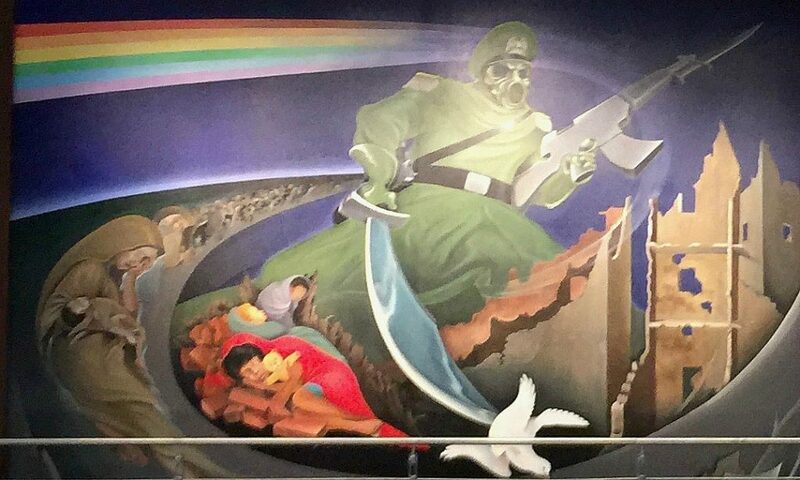 Denver International Airport has some weird conspiracies, have you heard them? 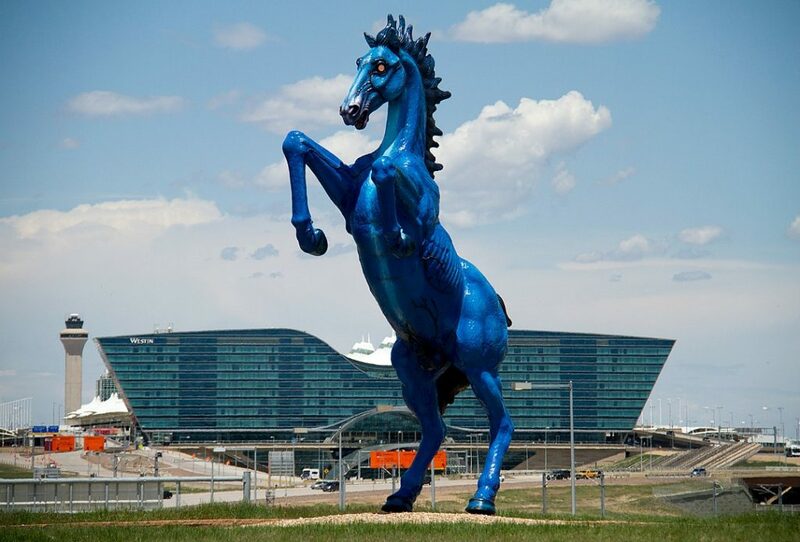 They have to do with Apocalyptic artwork like the Gas Mask painting and 32 ft. tall, 9,00lb mustang statue at the entrance nicknamed “Blucifer.” Luis Jiménez, the artist who created the horse with glowing red eyes, was killed when it fell on top of him. 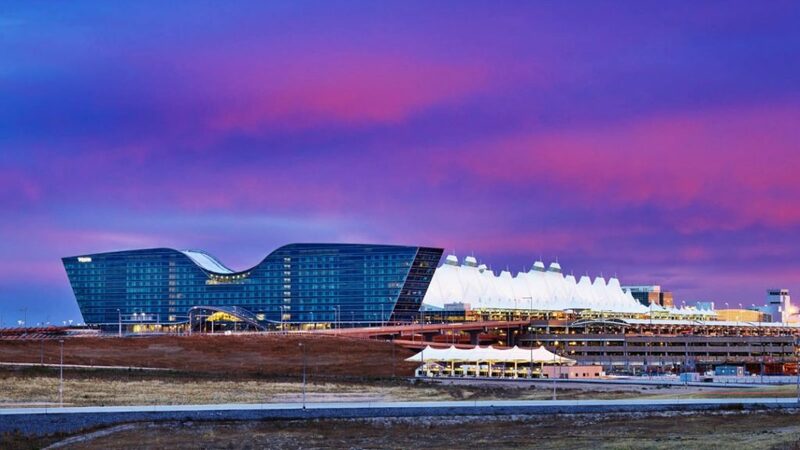 The airport cost 4.8 Billion dollars to build, and went about 2 billion over budget. Some question where all that money went. Theories include armageddon scenarios, underground tunnels, secret societies, aliens, and even lizard people. 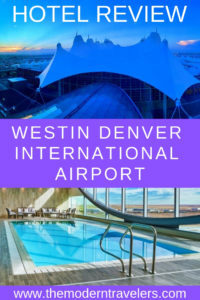 With movie star good looks, every ultra modern convenience, premium location right in the airport, it’s a hotel I will probably enjoy every time I go to Denver. 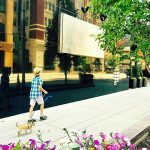 Since DIA is out of the way, if you have a late arrival or early departure, that convenience is a really great option that takes the pressure off, and knowing I can go right to a comfortable room the minute I land makes those late night flights more practical for me, especially since I travel with an eleven year old. Then we can just hop on the Light Rail in the morning and start our adventure fresh. Or, we can do the same thing in reverse. 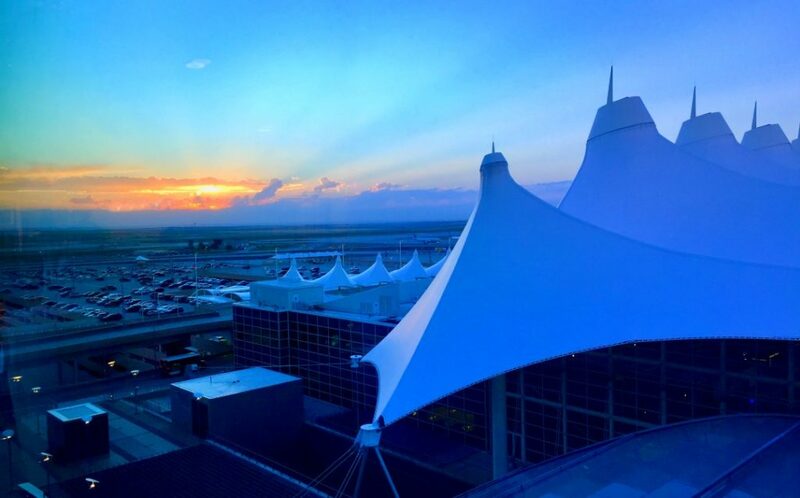 Enjoy the city until evening, head to the airport for a stay, then fly out bright and bushy tailed the next morning. 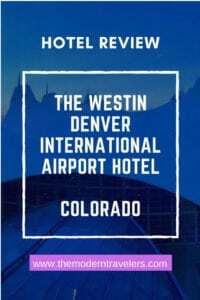 Find out more at the Westin Denver International Airport Hotel website HERE. Images 3, 5, 7, 10 courtesy of the Westin.